Today and tomorrow early voting continues at the Board of Elections, 2808 North Oak Street, Valdosta. Election Day is Tuesday May 20th at your polling place. You can get a sample ballot from the Georgia Secretary of State. 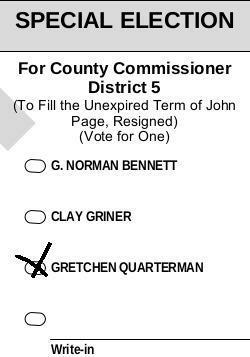 District 5 is on every ballot; look all the way down to the last item and vote! 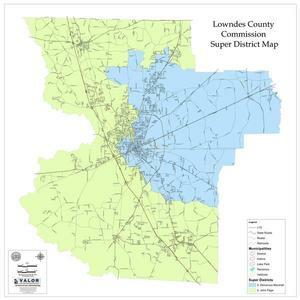 Remember, District 5 includes much of the north and west of Valdosta, all of Remerton, Hahira, and Lake Park, and half of Dasher, as well as most of the unincorporated area of Lowndes County. If you live in one of the cities or in the rest of the county, the results of this Special Election on May 20th will affect you. According to the Lowndes County Board of Elections, 308 people voted yesterday 14 May 2014, for a total of 2,403 in early voting as of last night. That’s about 4% of the 61,000 registered voters, or 6% of the 40,000 active voters. About 21,000 voters are inactive, which only means they’re registered but haven’t voted in recent elections. Get those inactive voters out there and we win. Help get your friends, neighbors, and county voters to the polls!